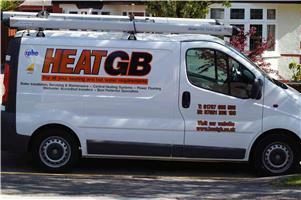 Heat GB Services Ltd - Central Heating Engineer, Plumber based in Potters Bar, Hertfordshire. HEAT GB are a Hertfordshire based Gas Safe registered company providing a comprehensive range of gas and plumbing services to all our customers. We offer free, no obligation quotations to meet your requirements. We listen to your needs and desires and offer our experienced input. Our quotations are in writing and fully itemised. Our heating engineers are fully qualified, insured and Gas Safe registered to work on a variety of gas installations. Our engineers carry photo ID to give you peace of mind and our plumbers are NVQ trained. All our work is guaranteed and meets regulatory requirements - gas safe, building regulations and plumbing regulations. We carry full public liability insurance. Working to the highest standards we seek to achieve total customer satisfaction. Offering a fast and reliable service we are committed to using only quality parts and materials.